Well, it looks like somebody is peeved over being left out of all the fun here in Mojave yesterday. Not sure what media outlets are being referred to here (although I could take a pretty good guess), but I would recommend a .re-reading of the coverage accompanied by a review of the NSTB accident report. Might clarify the situation out here a bit. In any case, not everyone gets invited to these events. Reuters couldn’t get a photographer to the gathering beside the tower because Virgin limited attendees to reporters. Ultimately, it’s their shindig; they have a right to control who is there. They did provide a running commentary on Twitter as the flight progressed. 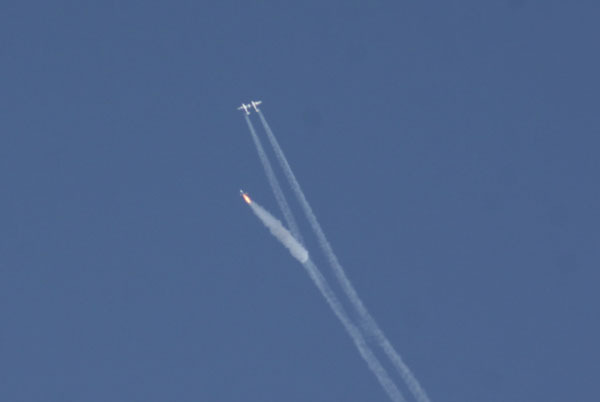 I’ve seen a SpaceShipTwo flight from next to the tower with Branson and his team. It’s great and adds a lot to the experience. I’ve also seen flights from out in the desert on the edge of nowhere. And here’s one thing I’ve learned: it’s what’s happening in the sky that matters. It’s the only thing that matters. I’ve seen what happens when things go sideways. It’s heartbreaking. I’m relieved everything went well yesterday. 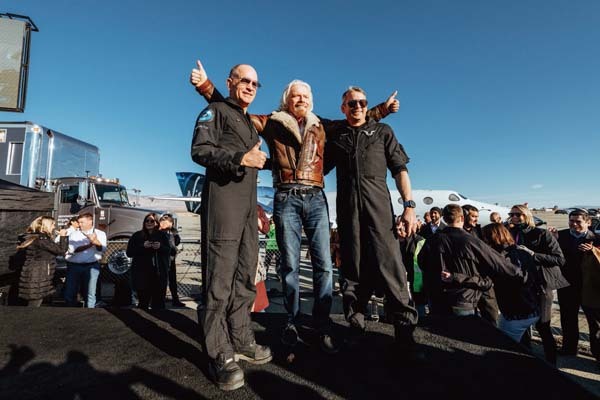 Congratulations to everyone at Virgin Galactic for achieving this milestone. I wish them nothing but success in the future. Here’s to many more flights like the one we witnessed on Thursday. Cowing has, over the years, exhibited a more than marginal propensity for assuming things are about him that really aren’t. Many of his frequent barbs directed at NASA Public Information Officers would be cases in point.